When teeth have open tubules inside them, they are prone to being considerably more sensitive to hot and cold temperatures. 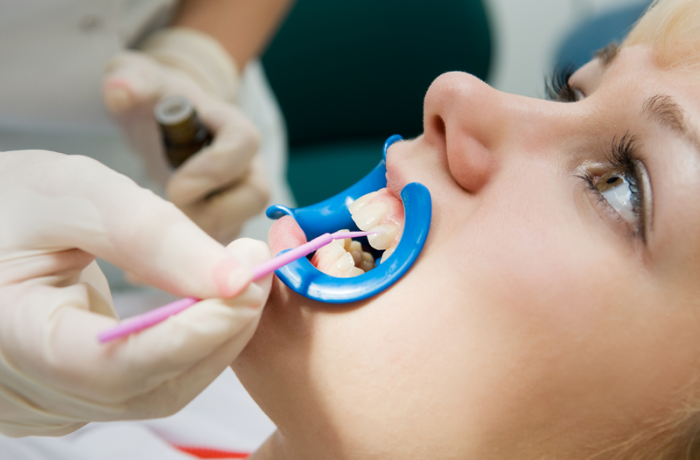 Rather than avoiding certain dishes or using a sensitive toothpaste, we offer a simple and quick procedure for sensitive teeth. Extreme sensitivity caused by recession or abrasion can be treated with the application of a desensitizing agent that blocks the exposed dentin or root surface, reducing pain and sensitivity.